Commercial Use Tou – please scroll down a bit! 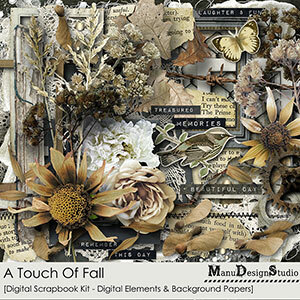 (Please note: This License is only for purchased designs from Manuela Zimmermann – not for Freebies!) You can use Freebies (Add-On’s) only in combination with the purchased kit! You may use my graphics in your web design projects for clients. 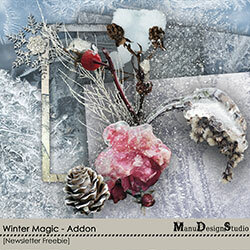 Credits must also be given on the website (“Graphics created by Manuela Zimmermann “Manudesigns at www. digital-scrap-spirit.com”). • My products may not be used for any “print on demand” purposes (ie: Cafe Press, Etsy, etc.). Credits for the use of my products in your finished projects is always appreciated but certainly never required. inability to use the Product. original files. If no modification is needed it is mentioned in the description of the product. personal scrapbooking and craft projects. * YOU MAY make gifts for family and friends! I would be delighted that you share your scrapbook talents in this way. * YOU MAY alter size, color, modify etc. to suit your design projects – this is required unless it is otherwise mentioned in the description. * YOU MAY submit project for publication using these graphics. Please give credit to Manuela Zimmermann – Manu Designs. under any circumstances for any loss or damages resulting from the use or inability to use products provided. *YOU MAY NOT use ANY of Manuela Zimmermann graphics to design templates for resale. file in its original format, size and shape. on my part that they too can use the kit. They are not for your free distribution. This is considered pirating, and is ILLEGAL! * YOU MAY NOT use any of my commercial use files as freebies or as part of a freebie, whether it is altered nor in it’s original format! Exception: You may create quickpages using my commercial use products and give them away as freebie but is has to be a flattened image.